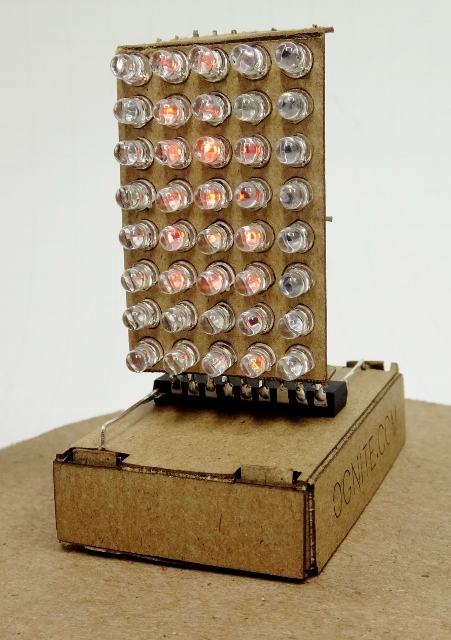 Forty amber LEDs and a tiny computer, neatly packed into a matchbox. There are no other parts or pieces. 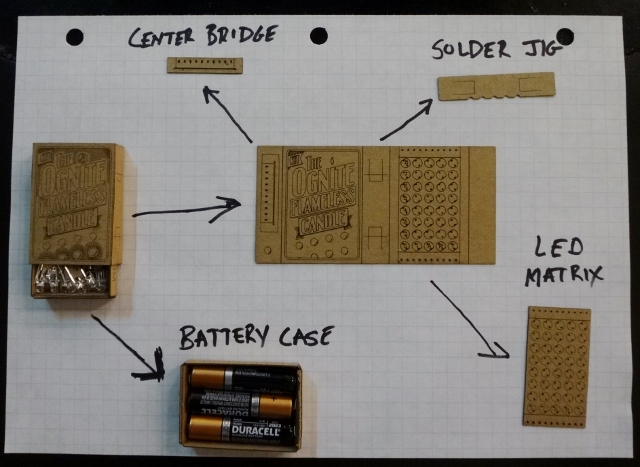 The matchbox is deconstructed to become the board, the battery case, and the assembly tools. 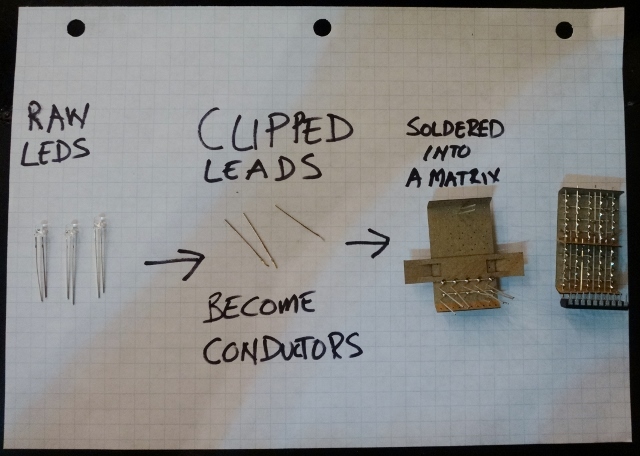 The LED leads are clipped to become the electrical circutry. becomes a living, dancing flame! Ognite wins an Editor's Choice award at MakerFaire 2013! New Instructions on Instructables Here! Ognite Chip Firmware on GitHub! 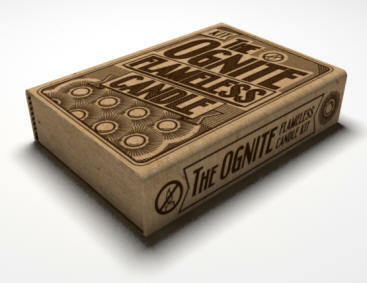 A lovely PCB-based Ognite clone here!